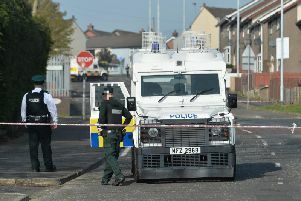 Police carried out ‘road stops’ across Newtownabbey to remind people it has been seven days since Robert was last seen. The 42-year-old is last believed to have been in the area of Lakeview Avenue, Newtownabbey on October 17. Police conducted the operation in the Three Mile Water/Doagh Road, Lakeview Avenue/ Carnmoney Road North and Manse Road areas today. A PSNI spokesperson said: “The public may hold the piece of the jigsaw we need to reunite Robert with his family. Thank you for your patience during this part of our investigation. Anyone with information about Robert’s whereabouts is asked to call police on 101, quoting reference number 557 17/10/18.